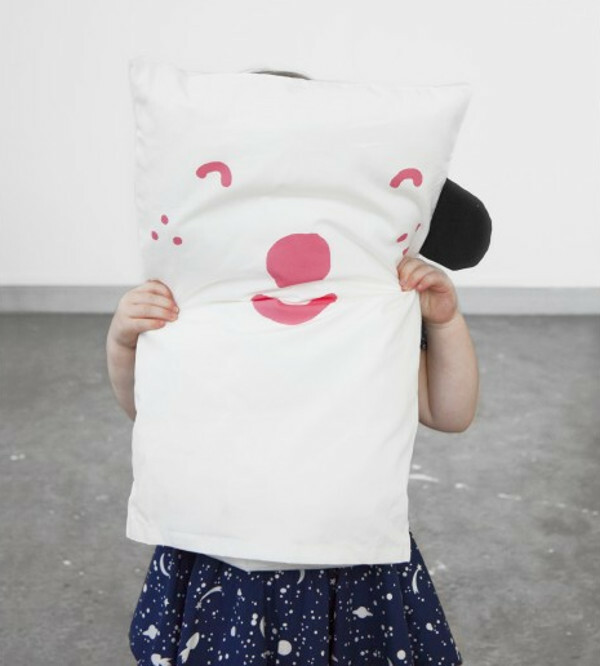 A comforter, a decorator item, a new friend, a way for a child to express themselves. Yes, it’s just a pillowcase, but it’s also so much more. There are times when children find it difficult to express their emotions – and this usually means they end up in a bit of a mess (don’t we all!). 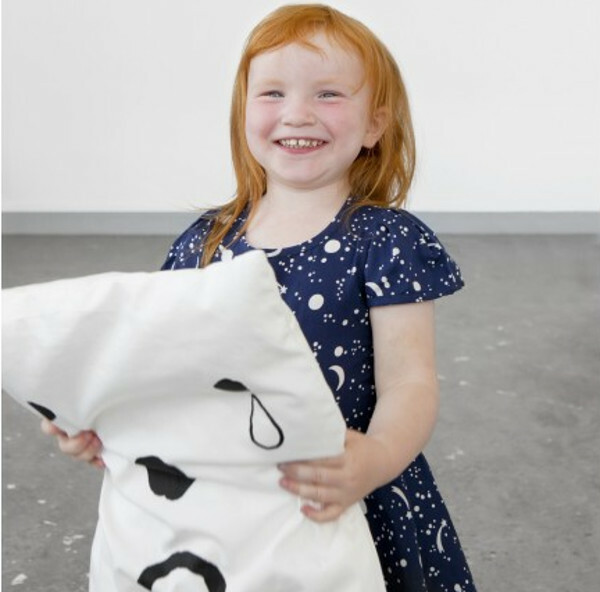 What we love about this simple pillowcase is that it has a life other than just housing a pillow – it can help a child express how they’re feeling without words. 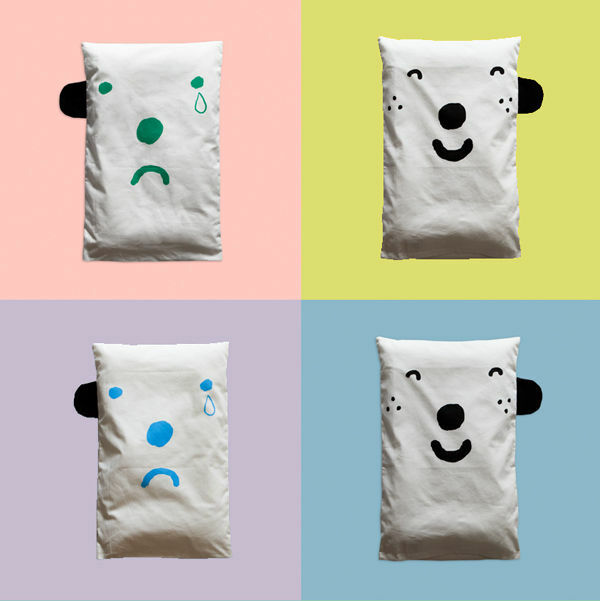 The Happy/Sad Pillowcase can be just a pillow cover, but also a comforter and a very huggable little pal. It’s designed by Little Red Stuga and the motif has been created by Mogu Takahashi, giving it a gorgeous designer edge. It’s made from non-bleached baby cotton canvas and of course has the two-sided print, one happy, one sad. The ink used in the print is eco friendly and non-toxic. The Happy/Sad pillow comes in pink, blue or green print, is machine washable, and fits a standard-sized cot pillow. It’s available locally from The Bowerbird’s Nest for $53.